Even though man and dog have been friends since the dawn of time, we still have communication problems! We confuse one another with body language – what seems like a friendly gesture to the human end of the leash (patting the dog on the head, giving him a big, squeezy hug) can be accidentally intimidating to the other. And, many perfectly normal dog behaviors (greeting friends with nose in groin or feet on chest, eating cat poop, ditching your owner when they reach for your collar) are problematic for humans. Good Dog 101 gives you a chance to learn to speak Dog 101, while having a fun and enriching time with your dog. Class gives you the opportunity to watch demonstrations, ask questions, and practice, while getting coaching from an experienced instructor. Classes are also great place to enjoy other people and their dogs; empathizing with their frustration, supporting one another, sharing solutions and successes. Puppy Kindergarten may be even more important than Good Dog 101. Lack of early, positive socialization is a leading cause of major behavior issues in dogs. Prevention is easy, and tremendously fun! Vital, too, is getting the puppy on the right paw with house manners (housetraining, play biting, etc.) and a gentle introduction to obedience training. Classes are available Sunday morning at The Animal Keeper Oceanside, taught by Bennett Sharp. Bennett is a member of the Association of Professional Dog Trainers (the APDT). As a trainer Bennett wants to set his clients and their pups up for the best possible life! Classes are taught using effective, gentle, modern methods. Dogs and people have a fun and learn fast! Summer is a perfect time to work on training your dog whether it be a brush-up on good manners or addressing some issues. Kids and family are home to provide the consistency needed for training reinforcement…take advantage of the time and our awesome trainers! Contact any of our locations for information on Day School or Board & Train. 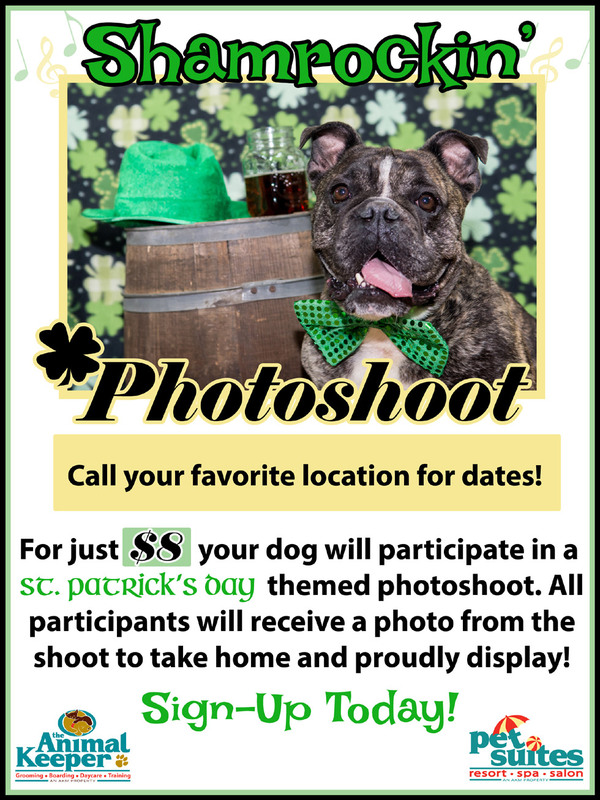 Contact the Oceanside location for more information on Puppy Kindergarten and Good Dog 101. Questions? 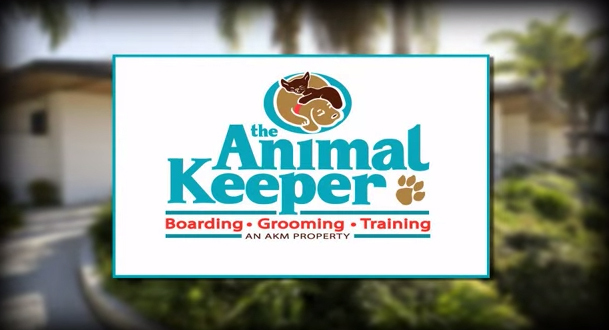 Visit http://theanimalkeeper.com/pet-services/pet-training/, Email penny@theanimalkeeper.com or call 760 941-3221. 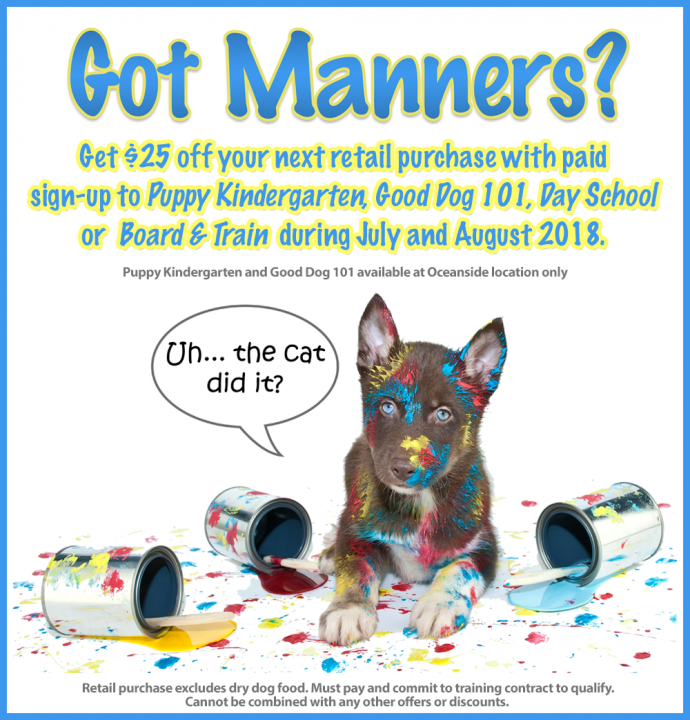 Get $25 off your next retail purchase with paid sign-up to Puppy Kindergarten, Good Dog 101, Day School or Board & Train during July and August 2018. Retail purchase excludes dry dog food. Must pay and commit to training contract to qualify. Cannot be combined with any other offers of discounts.